After closing the 2018 Alberta Country Music Awards (ACMAs) with his 13-week Neilsen/Billboard Canadian Top 100 Country Airplay charting single “This Road Is Mine” (written with Clayton Bellamy and producer Mike Little), seven-time nominee Karac Hendriks’ new single “Some People’s Kids” (written with Little and Drew Gregory) drops March 22, 2019. Based on Karac’s and Drew’s experiences growing up in rural Alberta and each now raising boys of their own, the song provides honest commentary around this oft-spoken saying that is sure to connect with parents and children of all ages. 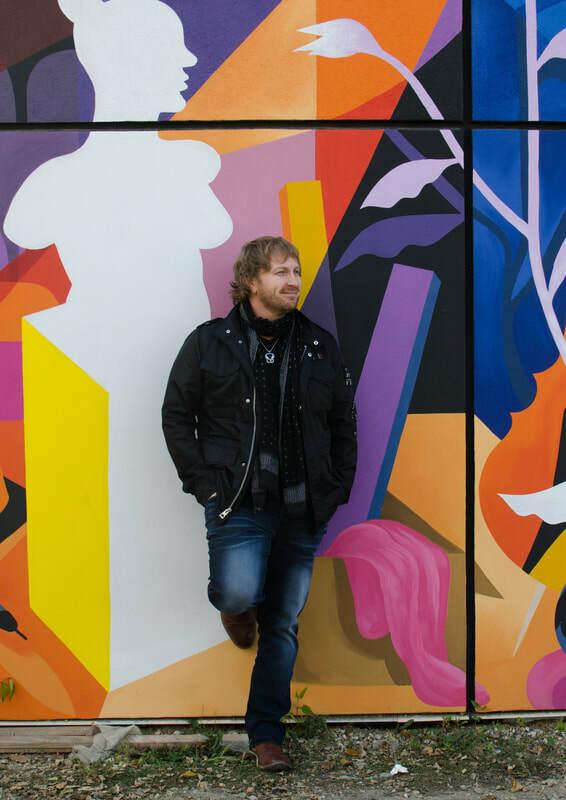 With “Some People’s Kids”, Karac continues to draw on his traditional country and roots music influences while fully embracing today’s modern sounds. Produced once again by Juno award winner Mike Little (Black Mountain Whiskey Rebellion, Road Hammers), “Some People’s Kids” features one of Karac’s most unique and meaningful birthday gifts: drums by the iconic Kenny Aronoff (John “Cougar” Mellencamp, John Fogerty, Smashing Pumpkins)! Video of Karac on his birthday learning that Aronoff, a drummer on so many of his favorite songs, would be playing drums on THIS song was shared on social media by Little and Candace Lacina from their Legion Lounge Studio in Calgary, Alberta. For many years, Karac worked as a highly sought-after and respected supporting guitarist and harmony vocalist for some of Canada’s biggest country acts. He’s toured with the likes of Gord Bamford and was the lone accompanist for Gord’s “Bamford on the Beach” concert with Aaron Pritchett. He’s also toured with Adam Gregory, and with Sean Hogan on his “Canadian Country Christmas” tour. But with a dream to one day take centre stage himself, Karac took a final bow and decided to pursue a solo career in 2016. Karac kicked off his solo career in a big way, debuting a self-titled album which spawned two radio singles including “(Blame It on My) Youth” and “Can’t Help Loving You”, and a nomination for Album of the Year at the 2016 ACMAs. The album also featured the track “Feel the Magic”, the official song inspired by the athletes of the 2012 Special Olympic Canada Winter Games, which Karac performed live at the Opening Ceremonies. Karac had an exciting start to 2018 with two nominations and a performance of his single “Thinking About You” at the 2017 ACMAs. He then wrapped up a highly successful media tour across the Maritimes and Ontario promoting his single “This Road is Mine”, including a number of TV appearances on major Canadian outlets including Global Kingston’s The Morning Show, Rogers Daytime Ottawa and Global Toronto's The Morning Show. Karac was among 2017’s Top 12 Artists in Project WILD, a professional development program that works to educate, promote, develop and launch the careers of some of Alberta’s up-and-coming country and roots artists. He’s also been featured in the Alberta Motor Association “Just A Card” campaign, which promotes the benefits of membership to young families. His “Just A Card” video continues to receive views online and was prominently featured between acts at the 2017 Country Thunder Music Festival in Calgary, Alberta. Hailing from eastern Alberta and based in Edmonton, Karac first began performing at the young age of four but became truly enamoured with music when he got his hands on his great grandfather’s turn-of-the-century mandolin. Little did he know that this would become the catalyst that would ignite his lifelong passion for music. Often compared to country music icons Vince Gill, Brad Paisley and Keith Urban, Karac is an electric-guitar-weilding performer that delivers his authentic, honest original songs with dynamic, soulful vocals on stage and in studio.